Last week Google finally made their popular Keep app available on iPhones and iPads. Keep is a great little app for creating task notes and reminders. You can even create notes in your web browser on your laptop and have them synchronize with the notes on your mobile device. 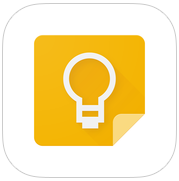 In the video embedded below I demonstrate how to use the web version of Google Keep.